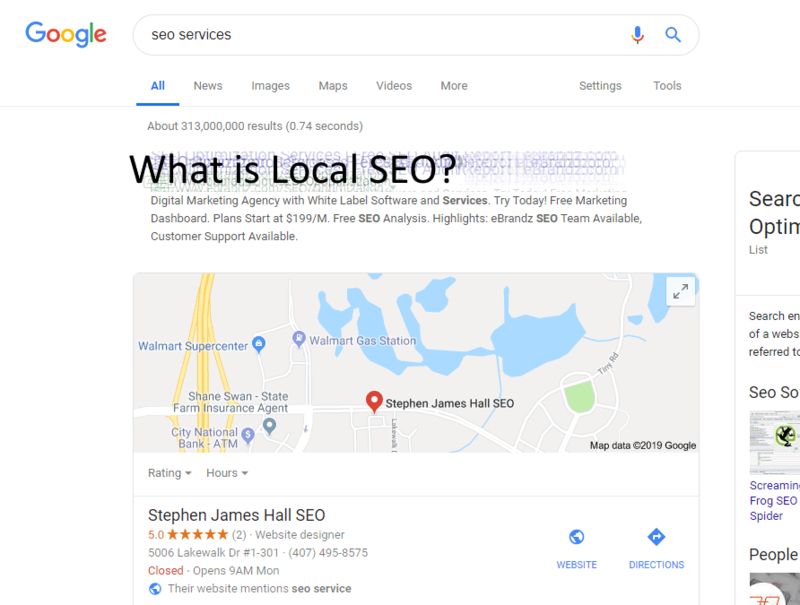 Local SEO is optimizing a local business website for Google search considering a certain phrase within a certain geographic location. 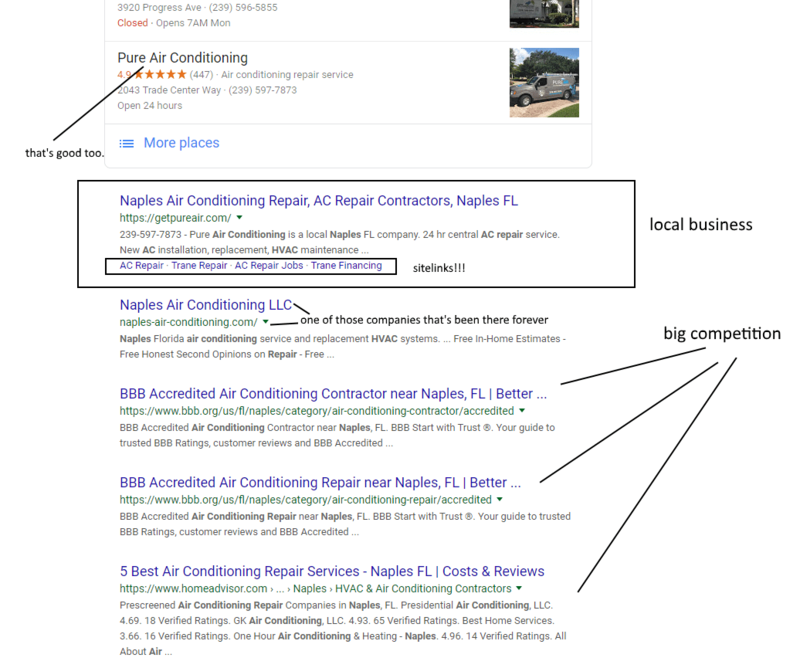 For example, an HVAC company in Naples, FL. would want to be on page 1 within the maps and organic results for queries like “air conditioning repair service nalpes fl”. Considering there are large national companies like the Better Business Bureau, HomeAdvisor, Yelp and various Lists websites also competing for similar phrases, it can be difficult for a local business to compete. Difficult but not impossible, as the image shows. Here are a few links to get started on the Local SEO basics.